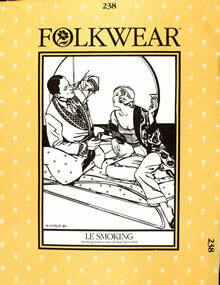 Smoking jackets symbolized sophistication during the 1920s and 1930s, both on the silver screen and in real life. Our classy version features contrasting or quilted lapels, cuffs, and pocket trim. 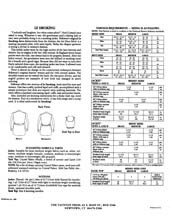 Pattern includes instructions for women's knitted tank top to wear underneath. Misses 6-16; Men's 34-44.